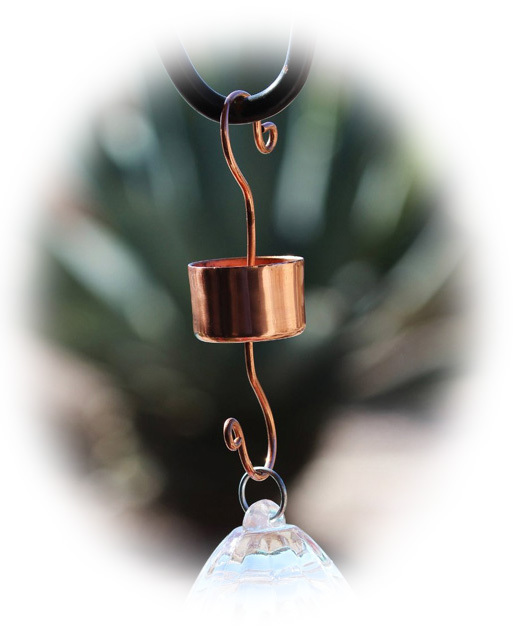 Elegant Hummingbird Feeder Ant Guard is highly polished solid copper and highly effective. Durable and attractive. Built to last! Handmade from heavy gauge solid copper for years and years of effective protection. Just add a few drops of vegetable oil to the cup, swirl to coat inside and pour out any excess. Place Ant Moat between your feeder and hanging hook. Approx. 6"H. Cup is 2-1/2" dia. x 1" deep. Hummingbird Feeder Ant Moat is highly polished solid copper. Elegant, durable and effective! Keeps ants from invading your Hummingbird Feeder. Hummingbird Feeder Ant Moat keeps pesky ants from getting into your feeder. Attractive and functional solid copper.